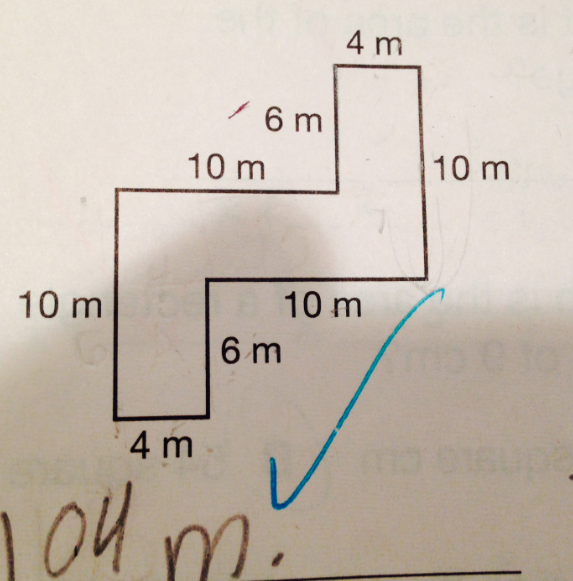 Common Core Area hw problem for 8 year old. Dad had to do it. I’d love, love, love verification of this. I believe it, I really do, but source? My assistant principal, Brett Rosenthal, whose son attends the Plainview Old Bethpage School District. Let me get this right. The 3rd grader has to put tiles on top of the area, and then count the tiles? How pathetic. All 1st graders in Asia can do that! No Mai Yen, that is not what they are expected to do and you know it. They must compute the area of every rectangle and then add all of the sums. Yes Mei, that’s because all Asian 1st graders go to school a half day on Saturday and stay up until 1-2am doing homework and go to school at 6am. Now we all know why Asian students fall asleep on the bus or the train. It’s the only time they can really get some good sleep. Furthermore, this is the United States, not an Asian country. The United States has been the world’s SuperPower from even before the time government started running education. There aren’t border concerns and illegal immigration in Asian countries because no one’s clamoring to get into those countries to get a better education. But how about you watch some Korean or Japanese TV drama series a bit? One thing that stands out is pride in getting an education overseas. Where? The USA or a U.S. university. So, please stop dishing out the Leftist diatribe about how shamefully unsuccessful Americans are academically. We still make stuff your Asian countries can’t, are entrepreneurs, and make more money on average than anyone else in the world. American students are doing just fine and you can keep your Asian students in Asia if you have issues with it…and take your racism with you. I believe in free speech and so I will post. But I think that your claim that Mei is racist is unfair and unkind.